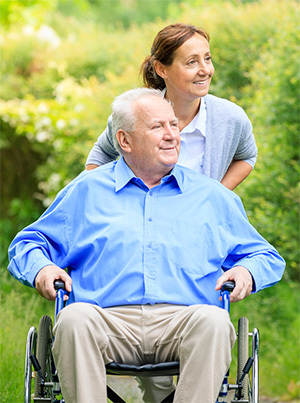 Symptoms of Alzheimer's and Dementia - Carelink Home Care Inc.
Recognizing the common symptoms of Alzheimer’s/Dementia can help you get support early, which can prevent injuries and make life easier for everyone. One of the most common symptoms is short-term memory loss. They may be able to remember things that happened many years ago, but have a hard time remembering what they had for lunch earlier in the day. They may also forget to make or attend appointments and have problems traveling to their destinations. Contrary to popular belief, dementia is not a disease but rather a group of symptoms that can be associated with several diseases, including Alzheimer’s, Huntington’s, and Lewy body dementia. While memory loss ranks as one of the defining characteristics of dementia, a number of secondary ailments are necessary for a dementia diagnosis. For example, general forgetfulness may simply be a sign of natural aging, while difficulty remembering combined with an inability to focus and trouble with verbal communication could be indicative of dementia. Anxiety is one of the most daunting parts of a dementia patient care. When agitated, a patient can be violent with disturbing behavior that is unusual. Something medical or physical causes the meltdown; it is not personal in most cases. The most common causes of agitation cases are over stimulation, pain and discomfort from sitting in the same position, injury or illness, lack of sleep, environmental changes, poor communication or medications that cause anxiety and aggression. Some dementia sufferers have a hard time communicating. They may not be able to remember what they were trying to say, have a hard time deciding which words should be used, or lose their train of thought in mid-sentence. An individual may have problems finding the right words to explain something or to express themselves. Having a conversation with the dementia patient can be a bit cumbersome or it may take longer than usual to conclude it. People suffering from dementia often lack the ability to make good judgments. They may not have good reasoning skills and may be impulsive. They may also forget how things should be or what they should do and make decisions with a lack of judgment. When a person starts finding trouble doing more complex tasks like playing games that have a lot of rules or balancing a checkbook then it possibly indicates that someone has dementia. Along with the struggle to finish familiar tasks, they may find issues in following new regimen. With the onset of dementia, the sense of directions starts to diminish which means a person fails to recognize familiar landmarks. It also becomes more difficult to follow step-by-step instructions and a series of directions. An individual with dementia symptoms can lose interest in activities or hobbies and they may not feel like going out or having fun. They might even lose the desire to spend time with friends and family and may seem emotionally flat. The appearance of seizures in patients with well-diagnosed dementia like Alzheimer’s disease or Vascular Dementia is common. For patients with Alzheimer’s disease, this typically occurs in the more severe stages of the illness. There is some debate about whether the use of anti-seizure medication in this situation is helpful. In general, anything that causes discomfort to a dementia patient can change their mood suddenly. However, careful consideration of the patient’s routine, medical requirements and social needs can curb many of these problems before they begin. It’s not easy to see your loved one go through difficult changes. With the right care provider and mindset, you can help make their life as easy as possible.